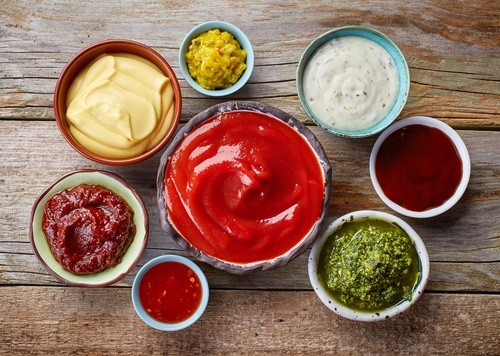 In this week's Inbound Marketing Highlights, Heinz is putting a new spin on two condiment classics. Additionally, Coachella goes digital, KFC gets spicy, and LinkedIn gets hacked. Continuing reading for these stories and more! Heinz is releasing an exciting new product….Mayochup! If it isn’t clear from the name, the sauce is a blend of both mayo and ketchup which are mixed together in one bottle. So what inspired this unique condiment? The people have spoken! After posting a poll on twitter, 55% of voters said that they were in favor of the mash-up, which is expected in stores by the end of the year. What’s still up for debate however, is the name of this product. While some are calling it Mayochup, it is being called Fry Sauce in other markets. Is this a product you're excited to try? Google is rolling out a major change for AdWords this month. The changes will use artificial intelligence and related technologies to make ad suggestions to users, using data from previous campaigns. The suggestions will help with ad headlines, descriptions, extensions, and other relevant components. Once AdWord users receive a notification about the suggestions, users will have 14 days to review them before they go into effect. Users have the ability to edit, pause, and remove the suggestions, or even disable them altogether. With sponsorships from Google, American Express, and Amazon, now even music festivals can become a tech and marketing event. The three brands brought their activations to life at the renowned music festival, Coachella, showing concertgoers the importance of the different products in their lives. Google focused on showing their Google Home Max and the Pixel, while American Express featured augmented reality and merchandise. Amazon also brought the Echo Look to give out fashion advice and take photos. These brands hope to shift the way we view technology’s impact on our life. The goal of these displays was to build a memorable experience fans are excited to tell friends about. KFC Hong Kong is releasing a new Spicy Fried Chicken! And to promote it, they are replacing pictures of flames with fried chicken in a surprising new campaign. The first ad features a space shuttle taking off, leaving behind a cloud of fried chicken instead of smoke, while the second, is a similar image except with a racecar. The third ad features a group of Power Rangers, posing in front of a fried chicken explosion. Check out the unique but visually brillaint campaign here. I’m sure all of you have heard of the Facebook data leak scandal by now. But did you know LinkedIn is now in trouble for privacy issues too? Apparently a flaw in LinkedIn’s AutoFill plugin, that let you quickly complete forms, could have allowed hackers to steal your full name, phone number, email address, and job title. These malicious sites are able to invisibly render the plugin on their entire page, taking data from logged in LinkedIn users. Researcher Jack Cable discovered the issue on April 9th, 2018 and immediately disclosed it to LinkedIn. The company issued a fix on April 10th but didn’t inform the public of the issue.